Choose Progressive Lenses during checkout at no additional cost. Shop the best quality lenses with 14 days return guarantee. Select and buy eyeglasses with the lens promo label, we will include a pair of comfortable progressive lenses with high visual clarity. 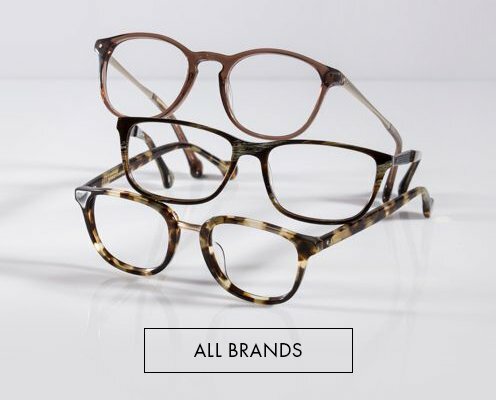 Hundreds of glasses frames for men and women are included in this progressive and Transitions lens promotions! Your customized progressive glasses feature the thinnest possible index with premium anti-reflective, anti-scratch, impact-resistant, UV protection, and easy-to-clean coatings without having to pay extra. We cater to most lens powers, so your eyes are in good hands. All our photochromic lenses are licensed by Transitions optical, and its photochromic performance is second to none. For most, getting a pair of progressive reading glasses is almost like a rite of age. Once you reach that stage of life, reading fine prints may start to become a strain on your eyes. Some choose bifocals or trifocals to deal with both the distance vision plus reading vision; others choose true multifocal lenses that enables natural vision without the sudden jump in visual clarity. 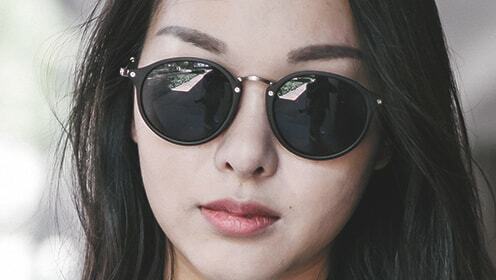 Transition lens glasses, also known as photochromic glasses, are glasses that react to the light conditions around you; the brighter the sun gets, the darker the lenses become. To many stores, Transitions lenses cost more for the shoppers; here at Glasses Gallery, the lenses are included with the frame. We even provide scratch resistant and UV protection coating at no extra charge! Progressive eyeglasses - how do they work? When you were young, a pair of single vision glasses for your nearsightedness was the only thing you needed. As you reach the age of 40, you begin to discover that you are beginning to have trouble reading books as well. This is where progressives come in. It is very much different from the traditional bifocals of the past, where a clear line of divide separated the near and distance viewing zones. We know it as the true multifocal glasses which lets you see much more than just two defined zones. Progressives has no visible lines. Instead, all the viewing zones are drilled and crafted into the curvature of the lenses. There is no longer a wall separating your vision. Because of the way it is made, all vision ranges, including the much neglected mid range, is taken care of by the progressives. While many still confuse progressive with bifocals, they cannot be anymore different with the way they allow you to see. 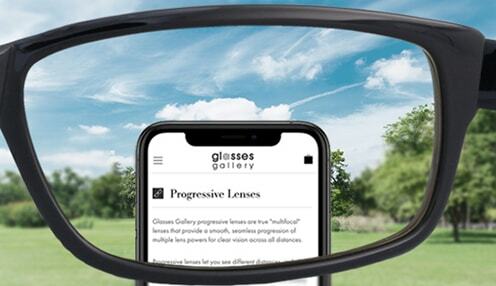 Progressive lenses stay true to its name, and enables a smooth progression of vision with every part of the lens linking together from top to bottom. While most lenses of this type inhibits peripheral vision due to what is known as the blending region in width of the lens. Our lens design minimizes those regions, restoring peripheral vision make vision more natural. Anytime is a good time to wear Glasses Gallery progressive lenses. A good pair of reading glasses can make the difference between struggling to read and easy reading. Because many of us spend a lot of time on computers and smartphones, we also provide an option to coat your lenses with a digital block coating. This coating filters harmful blue light, which makes computer reading a safer habit. These glasses are perfect for those who are always in and out. Are you a person who is more out than in? We offer transitions lens sunglasses where you can break the tradition of putting them on regular eyeglass frames. Are you more in than out? 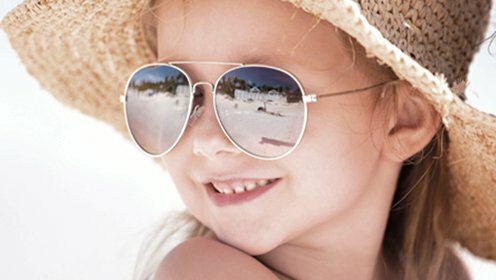 Why not add the option of digital block coating to filter out harmful blue light indoors and turn the glasses into Transitions safety glasses? 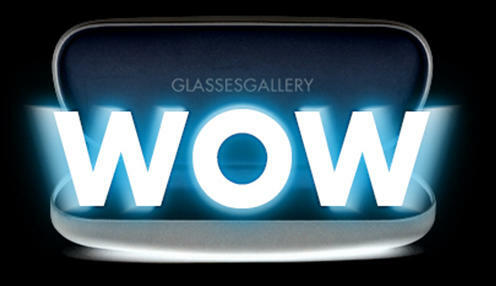 The options are limitless at Glasses Gallery. If convenience is what you are looking for, then look no further for the pair of glasses that is right for you, and right for your eyes. By rolling both protection and sharp vision under a single package, this is the only store you will ever need to visit for new glasses. Choose from hundreds of brands and over thousands of unique frames. 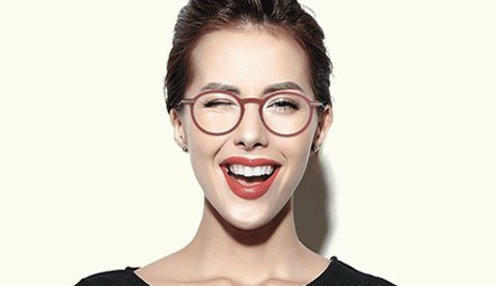 We can accommodate the majority of prescription, so whether you are just looking for a fashion piece, or correcting a 9.00 nearsightedness, this is the place to be.